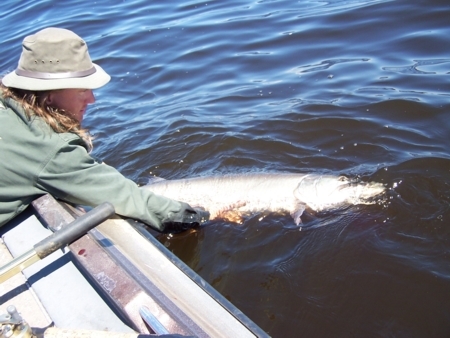 Musky Fishing is a very difficult sport to consistently obtain successful results. Yet, it is mostly this challenging factor which makes the endeavor incredibly appealing to so many. It is so much more then just fishing. 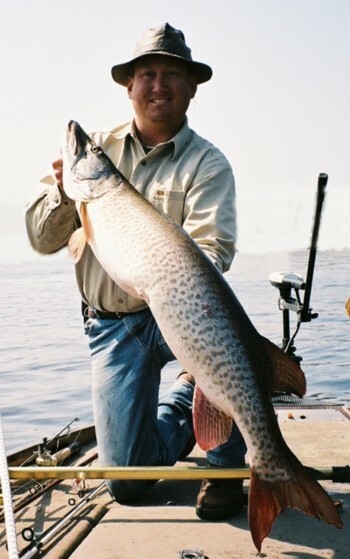 The musky is the highest-ranking hunter in the lake. A musky fisherman is the hunter of the hunter. It is unlike deer hunting in that a deer is not a predator. Many other factors add to the enjoyment of the hunt. One, which I have high regards for, is the opportunity to observe so much of our great outdoors. I find it all enjoyable, from the eagles and osprey to the summer thunderstorms and fall snowstorms. It is amazing the tranquility one can find on the water. Sharing fishing time with a loved one can mean more then words can express. I, also, relish all the wonderful people I meet in this pursuit and of these, the priceless friendships acquired. What did the musky say when it ran into the brick wall? Please Sign My Guestbook with any comments or reactions you have to my site.